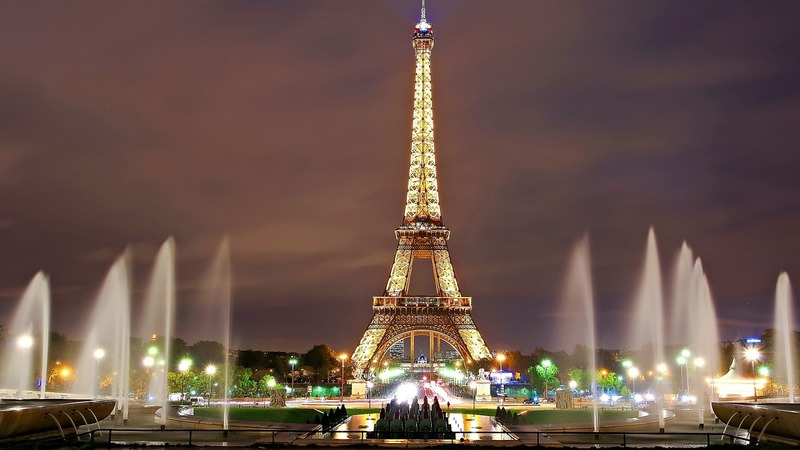 This tour takes you from Rome to Florence and onwards to Paris and London, covering the great capitals of Europe. Enjoy the extraordinary sights and experiences these countries have to offer on your journey from Rome, through the rolling landscapes of Tuscany, to the radiant cities of Paris and London. 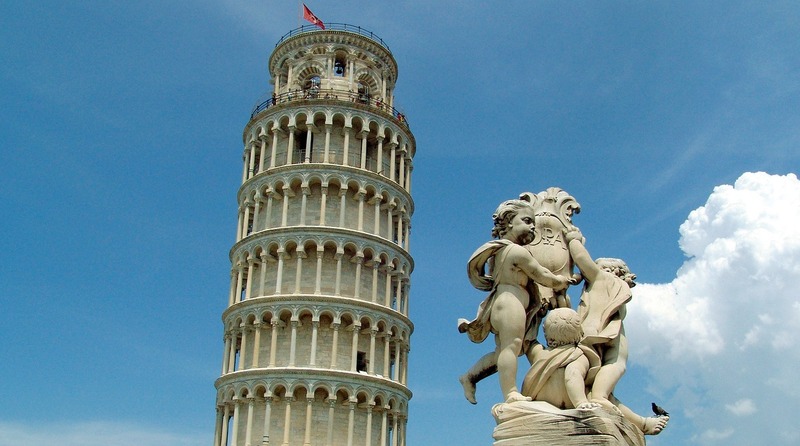 In Italy, explore the Colosseum, the Vatican, the Tower of Pisa, and the Florentine Cathedral. There is so much to see in Paris and London- including the Eiffel tower, Notre Dame, Buckingham Palace, Westminster, museums, and much more. Join us on this unforgettable tour! All hotels are of high standard and centrally located in all cities. This tour starts in Rome and will take you all the way to London. Between Pisa and Paris you will be travelling by air. 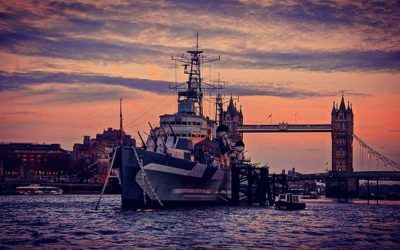 HMS Belfast that was used during the D-Day landings is silently enjoying retirement in central London. Depart on overnight flight to Rome. Arrive in Rome and be greeted by your Tour Manager. 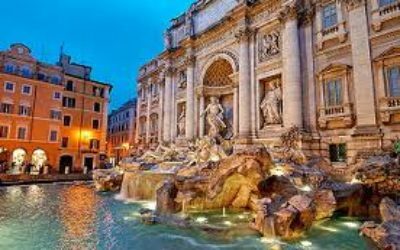 Introduction walk in Rome and see Piazza Navona, Pantheon and Fontana di Trevi. Welcome dinner in the evening. 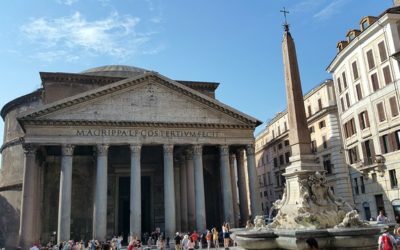 Start the day with guided sightseeing of Ancient Rome, Colosseum and the Roman Forum. Structured free time after lunch. Dinner in the evening. Guided sightseeing of the Vatican and St Peter’s basilica. Walk through the Sistine Chapel and see Michelangelo’s Pieta. After lunch your Tour Manager will bring you to the Catacombs. Dinner at night. 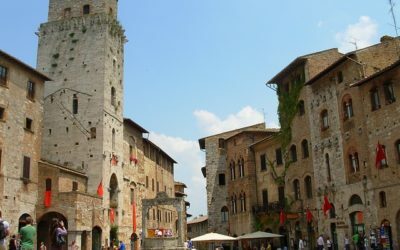 After breakfast you will travel to Florence via San Gimignano with a stop on the way at this postcard-pretty medieval Tuscan gem. 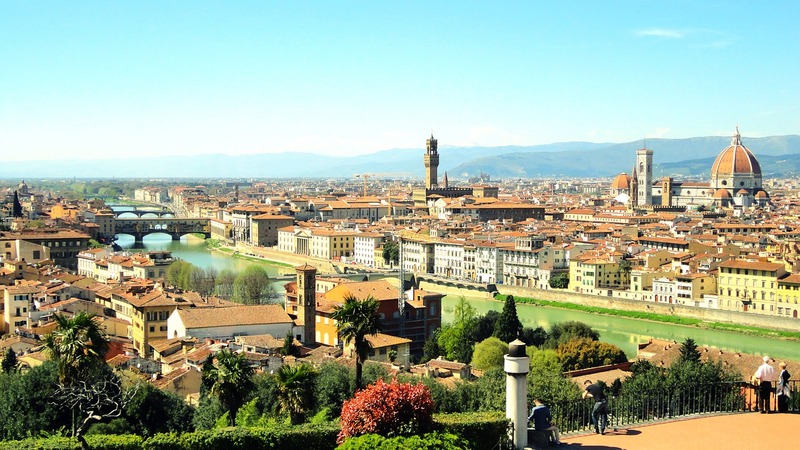 Arrive in Florence where your local guide awaits you for a sightseeing tour. Dinner at night. 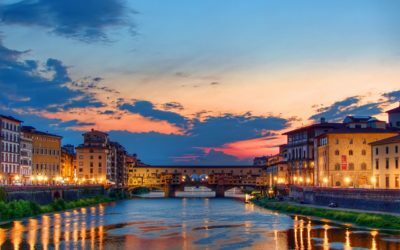 Enjoy a full day in Florence and explore the many museums, cafés and little squares. You might want to visit one of the less known museums such as Bargello Museum, with no waiting and excellent exhibitions! Dinner at night. 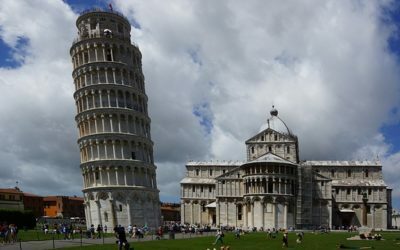 Travel to Paris via Pisa and visit the miracle leaning tower. After an early lunch you will board your flight to Paris where you will have dinner at night, followed by a Seine River cruise. 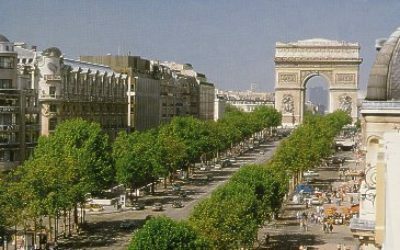 Start the day with guided sightseeing and see all the famous landmarks of Paris, such as Champs-Élysées, Arc of Triumph, the Eiffel Tower and surroundings. After lunch, a visit to Notre Dame and entrance to the Louvre Museum. Dinner in the evening before the Eiffel Tower. 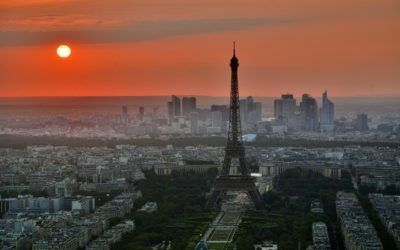 After breakfast you will have a Tour Manager-led activity in Paris before boarding your Eurostar channel train to London. In London your local guide will greet you and take you on a panoramic sightseeing of London before checking in to your hotel. Dinner at night. Visit Westminster Abbey for a guided tour. See the Changing of the Guard at Buckingham Palace or take advantage of the free entrances to the many museums of London. Dinner at night. Enjoy a full day in London for exploration and visit your favorite places. 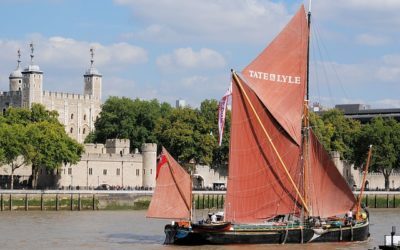 You may want to go and see the Tower of London, take a Thames river cruise or go on the London Eye. At night, enjoy a well-deserved farewell dinner together. Departure flights back to USA from London. 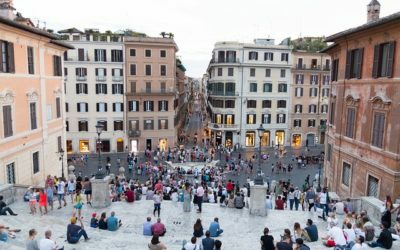 The fountain in the middle of the square, just beneath the Spanish steps is translated "the scruffy boat". It is not very scruffy at all. The Bernini fountain delivers fresh drinking water directly from Acqua Vergine, an aqueduct by M Agrippa in 19 BC. Centrally located hotels of high standard. Daily breakfast, daily dinners and some small local treats along the way. Visits to selected museums and sights including Westminster Abbey, Louvre Museum, catacombs in Rome, Torre Grossa, Colosseum and the Vatican. Seine river cruise and Eiffel Tower (2nd floor) in Paris. It is not for nothing it is called the Square of Miracles. 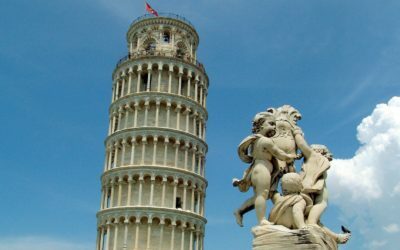 The world-famous leaning tower of Pisa was, and is, defying gravity laws. Although, engineers have managed to straighten it up a little from a 5.5 degree to a 4 degree inclination. The construction of the tower began in 1173 and took place in stages over the course of 177 years. It truly is a miracle that the tower is still standing for us to enjoy today. Paris, Hitler instructed, must not fall into the enemy’s hands except as “a field of ruins”. He ordered the city be prepared for demolition, should the Allies come. The military commander of Paris, General of Infantry Dietrich von Choltitz, had no intention of seeing Paris destroyed. He loved the beauty of the city as well as its cultural significance. He was appalled by the act of destruction he was to commit, so disobeyed orders by leaving Paris intact. 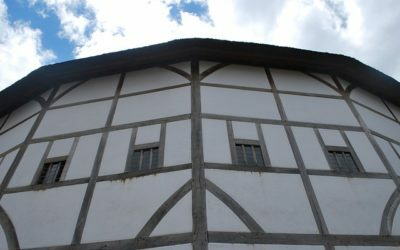 Did you know that the original Globe Theatre burned down during the production of Henry VIII. It could host over 3000 spectators at the time. The current, reconstructed, Shakespeare’s Globe is a very realistic version of the original, but can only host less than half the amount of people. Why? Modern safety regulations.